Field Engineer is a perfect place for clients who are looking for someone to handle the duties of a field engineer. They can find a professional and qualified field engineer without having to go through a multitude of agencies. They will also get instant results and can be certain that the field engineer they get is not someone who would not be able to handle the job. 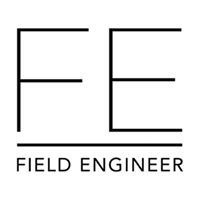 FieldEngineer.com makes it easier for everyone involved. I'm a Network Security Engineer at Field Engineer which is an On-Demand Marketplace which connects businesses and freelance engineers in Networking industry.